A few years ago, I entered a photo contest in Pilot Challenge magazine. I won first place in the contest and scored a Kodak digital camera. I think at the time, I gave it to a nephew. After a while, they changed the prize from a real digital camera to the cardboard disposable kind; how sad for future winnners. Then, just recently, I picked the magazine up again and saw that they were having another photo contest. This time, it was sponsored by Garmin. 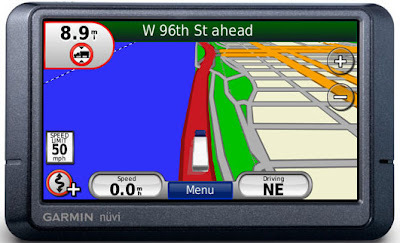 And the prize was the Garmin Nüvi 465T GPS system: It's a GPS unit made specifically with truck routing. It navitagates routes based on the truck's type, load, height, weight, length, and hazardous load restrictions; this is super-awesome. Plus, it got good reviews. Well, when I saw what they were offering, I said to Ed "I'm entering that contest again!" So last week, I sent in several new photos. I had taken some really cool shots since a few years ago and I thought for sure I'd had a chance to at least get an honorable mention. Two days ago, we stopped at the Pilot and I went in to buy some ice. I saw the new March issue on the rack, so I picked one up. As I always do, I flipped to the photo contest page first. I knew I wouldn't be in this one since I had just sent my pictures in a few days before, but I wanted to see who the winners were. Boy was I surprised when I saw MY photo staring back at me; that's the winner up there at the top of the post. 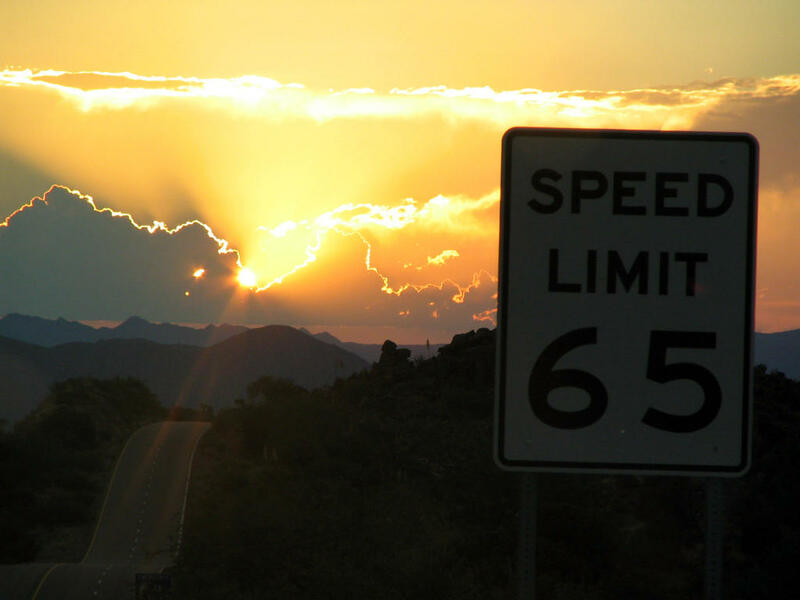 It was taken in Nothing, Arizona...a town you probably won't find on any map. It's about 20 miles south of Wikieup. They spelled my name completely wrong when crediting the picture, but I don't mind, I'm now the owner a brand new GPS! And I got it for showing them Nothing. 1 YEAR AGO: Sorry, no post for this day. 5 YEARS AGO: Pssst! Wanna Buy A Hot Dog Truck? That picture is amazing! As usual you are the best photographer I know. Congrats!! Lucky! This is a great picture! This is the same GPS we use, of course we ad to spend the $300 lol. But it is well worth it...we really like her. Sometimes she goes dumb but usually she is one key! Congrats!